The prettiest window box in town isn't planted by me. 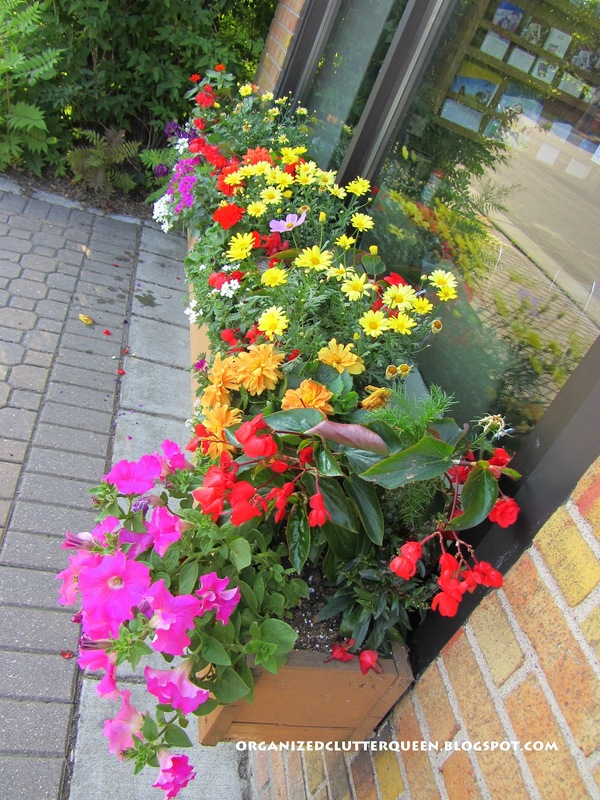 No, the prettiest window box in town is designed and planted by my sister in law at her office building. In this section of the window box, I see a marigold, alyssum, zinnia, begonia, dahlia, Marguerite/African daisy, and verbena. This section has a cosmos too and a beautiful orange dahlia. 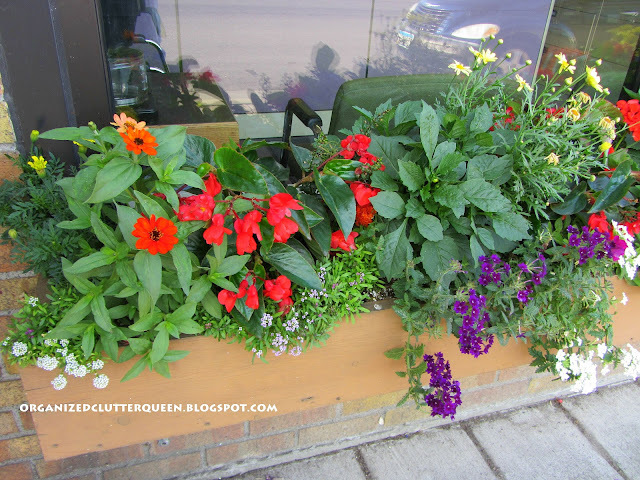 Another petunia trails from the corner. I get to drive by it almost every day on my way to work! That's beautiful! 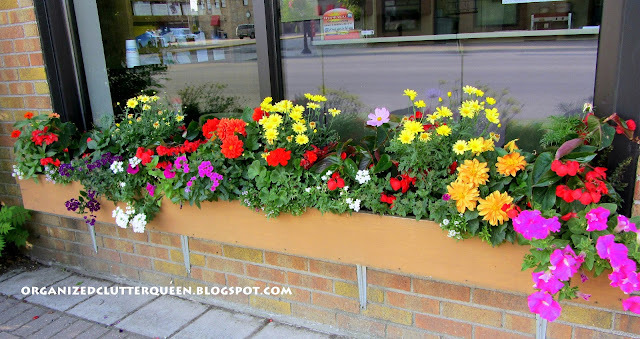 The colors & mix of flowers are like eye candy. So beautiful! 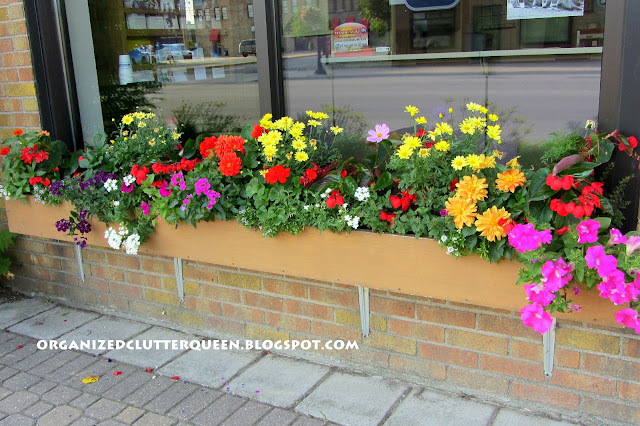 I love the mixture of colors and flowers she chose, it definitely catches the eye. Have a wonderful day and Thanks for sharing! 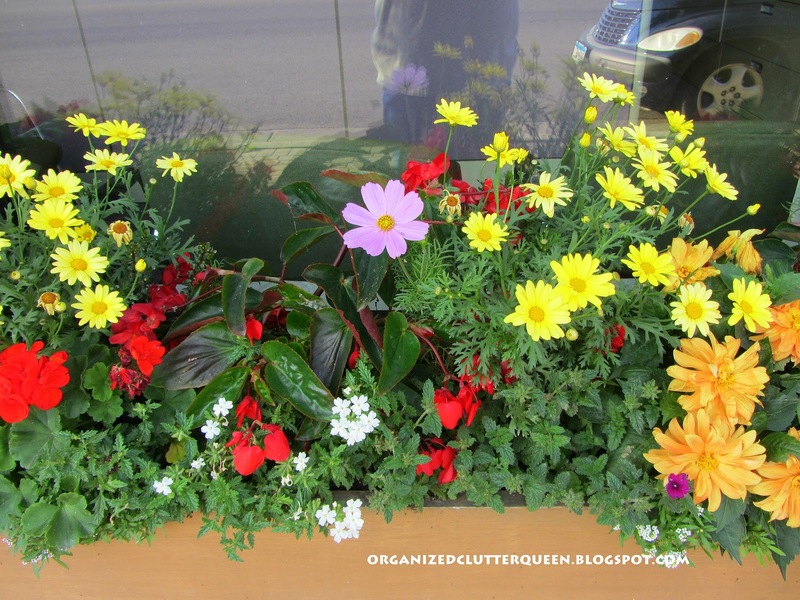 This is a very happy window box! 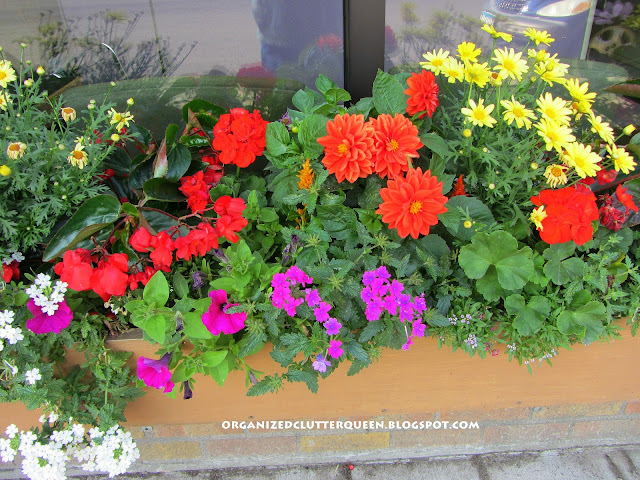 The colors and variety make me smile! What a lovely sight to see when arriving to work each day. Makes going to work more a pleasure. Very cheerful! 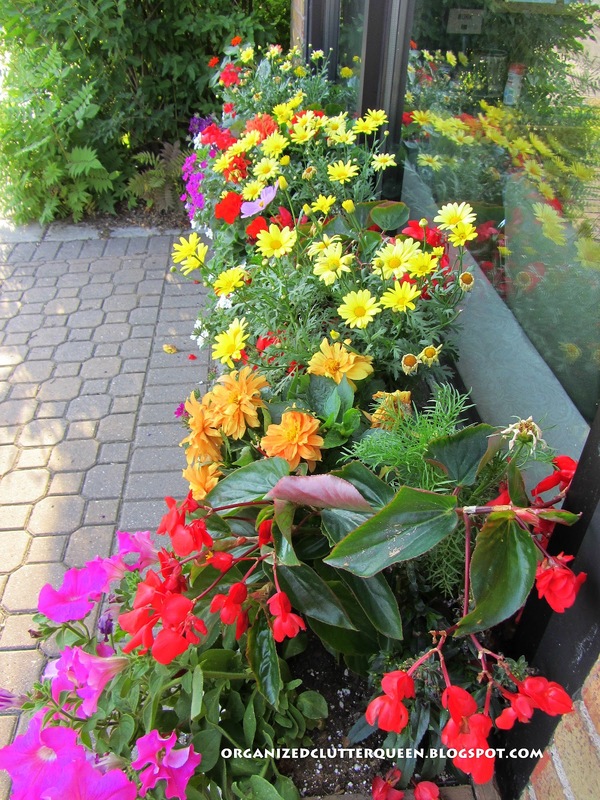 It should be a requirement of every business to have at least one pot of flowers to welcome customers. 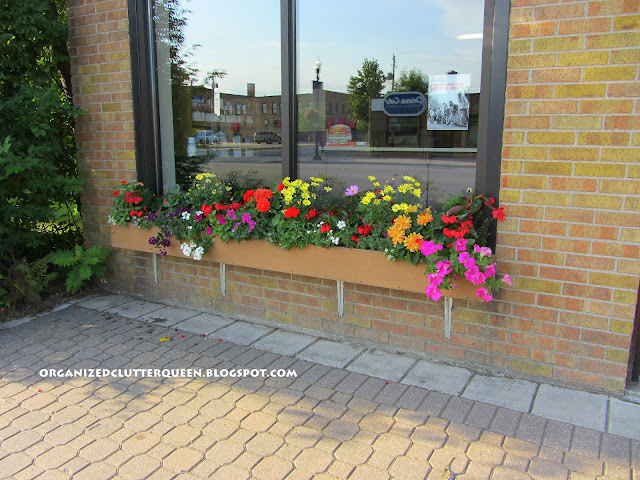 Oh Carlene, I love that window box crammed full of beautiful flowers. Thanks for sharing. I have a BIG, old watering trough for animals and it is still not planted. Too hot ... 105° yesterday and likely will not get planted this year unless I can move it to a cooler place. Have a wonderful day. Thanks for stopping by Timeless Treasures and leaving such a nice comment. 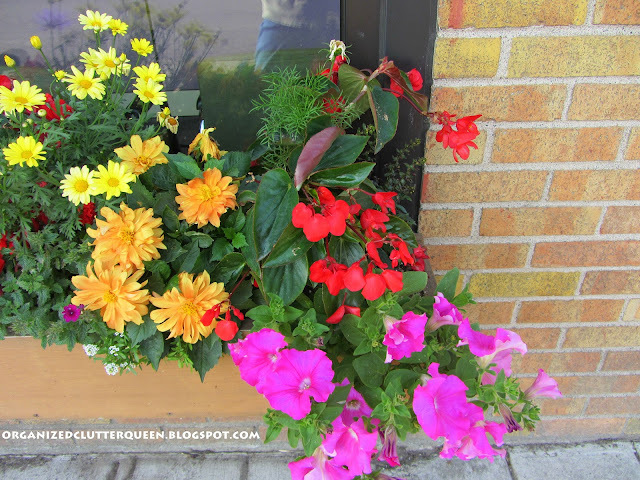 I love all the bright colors--what a great window box! Thank you for sharing the lovely pictures with us. You are right! It is beautiful! It is gorgeous but how does she do it cuz some of those plants like shade and some like sun....she's a miracle worker! I have orange brick on my house and those colors look great with it.....I'm taking down names! LOL! Tell her thank you from me and you too for taking the pics and sharing them! Seeing these pictures & reading the descriptions and comments made me blush ! I like to mix all the bright colors and for the last couple of years have passed-up the pastels. My gardens have been great...but then I spend more time in them that I do at work ! Thanx Carlene for sharing them.